Injuries to your child or teen's face and teeth can happen when they are playing sports, riding bikes and more. Our dentists explain why a mouth guard can help protect their young smiles. 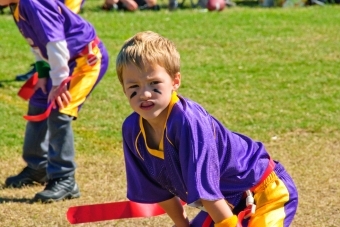 Mouth guards can protect your child's teeth during a variety of activities. Typically worn during sports, they can help protect their teeth, jaw, face and head from injury. If your child is experiencing severe teeth-grinding, it can lead to headaches, tooth pain or jaw pain or worn down teeth. In this case, a mouth guard may also help protect your child’s teeth from the effects of grinding. While there are a variety of off-the-shelf mouth guards you can buy, the best option is to visit your dentist to get your child fitted for a custom mouth guard. A custom-made mouth guard will provide the best comfort, fit and protection for your child's developing mouth. Be sure to bring the mouth guard along to your child's dental visits to make sure it still fits correctly as they grow. If you think your child could benefit from a mouth guard, we can help! Contact Smile Town Burnaby today to book an appointment with one of our children’s dentists.